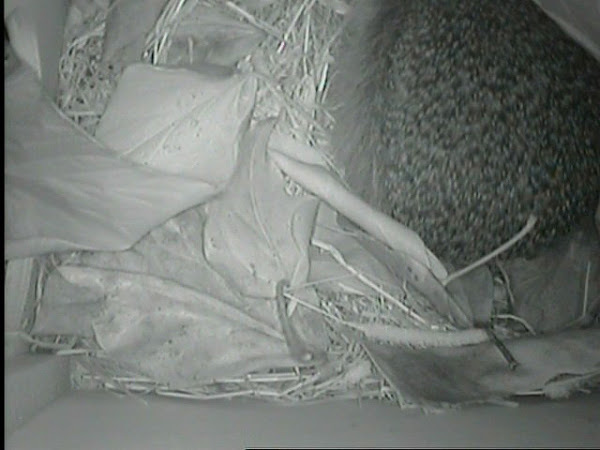 Finally, after much anticipation and finger crossing, we have seen the first images of a hedgehog exploring inside my Daughter’s Hedgehog House (made as school exam project). I really didn’t believe my luck last night as I looked in at a perfect time… just as one arrived! The record button was quickly activated and I had no idea what would happen next! The hedgehog may have walked straight out again. However, it went straight into one corner and after a little adjusting itself into the space went to sleep! It looked like it knew its way around too. Watching through a camera in a situation like this it is a difficult call to choose between recording video or taking photos. I completely understand that not everyone can view my videos. 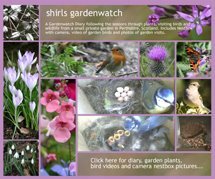 In this posting I have kept the videos as short ones to aid viewing when this is such a treat to be able to see. For those who can’t view videos at all (like my parents who get a printed copy at the end of each month) I have some photos. 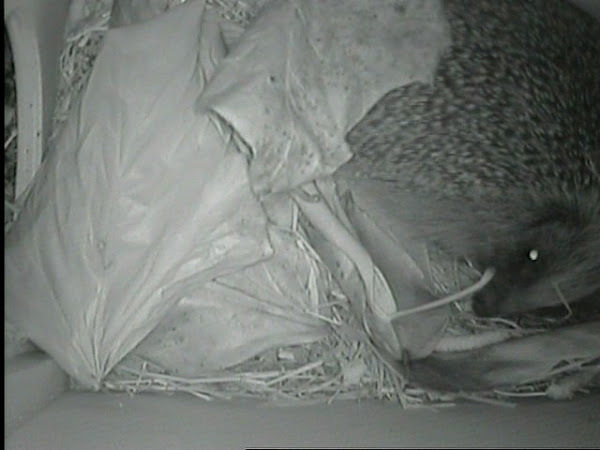 The first video shows the hedgehog coming in and settling down to the corner seen above. ...only to return again half an hour later. Or did it? Could this be a second visitor... I certainly couldn't tell as I watched transfixed. So what happened next? Another nap of course! Okay… but we were heading towards 1am and I was in need of a good nap myself. 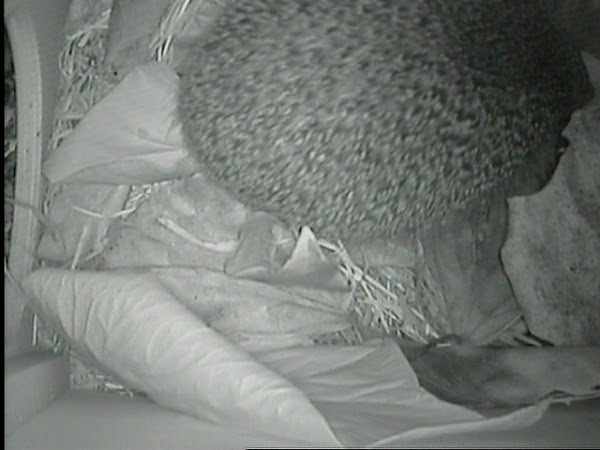 Ah… but I was curious to see if another hog (or the first one if there had been two visitors) would come in and what would happen then! Nope… there were no further guests last night! Phew... too much excitement for one night perhaps. Ah… but plenty of room for one hedgehog to stretch out and make itself at home. 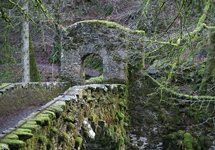 Look out for the little feet in the photos below. The head finally faces towards the bottom right hand corner. Mm… change of plan… just another quick nap perhaps? You can see how fast the hedgehog's heart is beating if you watch the video closely. You can get some idea now of just how slow this heart rate must be reduced for hibernation. Time was marching on as I watched the napping hedgehog and I guessed this time it could probably have another hours nap or longer… it was time for me to get some sleep now too. 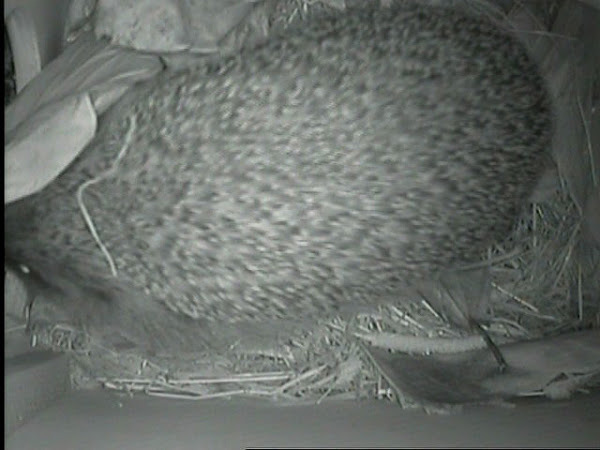 Last night’s capture started at 11.06pm and hedgehogs can follow the same time night after night but tonight it is very wet with lots of puddles around my garden in borders and on paths so I might suspect we won’t see it appear. All photos and videos shown above were taken in my garden late on September 2nd and early morning September 3rd 2009. 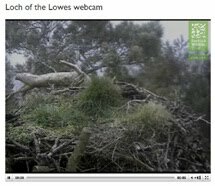 The camera used in this hedgehog house is by Handykam. Brilliant Shirl. That is great your new bespoke hog mansion has had a visitor. Such clear video as well. Thrilled to see you have a Hedgehog visitor Shirl! 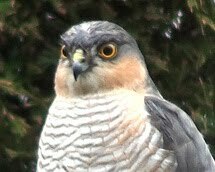 Fingers crossed we get some here, Pete saw one a couple of nights ago walk up the street... So I have hope yet! Fantastic! Did you leave the mealworms out to tempt it in? School exam project? I want to be a student again! 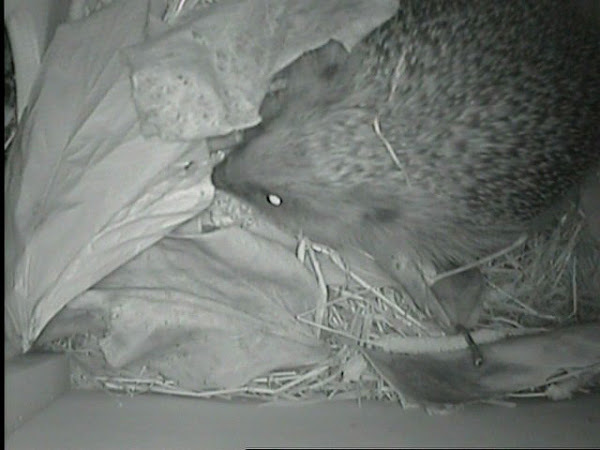 If the hedgehog were to hibernate in the box do you think there is enough straw and leaves to keep it warm enough? I was thinking of making a makeshift shelter and wondered how much I should pad it out. Cool. We don't have hedgehogs so I'd be afraid of what might move in if I built a nest box. Great videos. It's so nice the way they come in for a nap, go out for a snack and come back for another nap. It's no wonder they keep waking up - they're probably thinking, "Who's playing that music?" what fun to see the hedgehog(s?) using the new house. I love the cheerful music you put to the videos. The up beat is how my heart feels when watching these videos. Lovely to see the wildlife in your garden again Shirl! Shirl, What a lovely sight that hedgehog is! Wanted to let you know I have tagged you in the Seven Things meme. Go to my current post for more info. It's been 40 years or more since I saw a hedgehog. My grandmother (in Norway) would go out with a pan of milk and bread and we'd watch as the wild little beasts would come for dinner ..... thank-you for these. 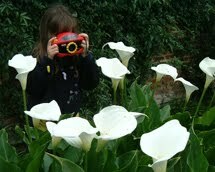 Shirl, what a treat for us to be able to watch the hedgehog's poking about! The images of those small feet and the pretty little face make me want to build a house for them here, too. Thanks for showing those videos! 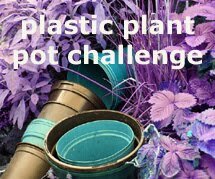 Jane – Me too… its been difficult to see through all the plant foliage! Kari – Would you believe it… it is 11pm as I write this and a hog is just about to come into view ‘live’ in the corner of my computer screen! I am thrilled I’ve brought fond memories to you. Lovely to hear the story of your grandmother’s visits although nowadays milk and bread is advised against. It appears that they can affect the digestive system of the hog and in some cases be fatal. We're glad you have a lodger, you must be really thrilled, the video's are great, I bet your daughter is pleased too. 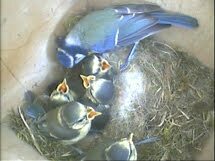 Despite all our visitors, none have shown an interest in ours yet, we will have to but a sign up "house to rent" lol. Hi again Jan, you’d think so but perhaps it is slightly on the compact size. 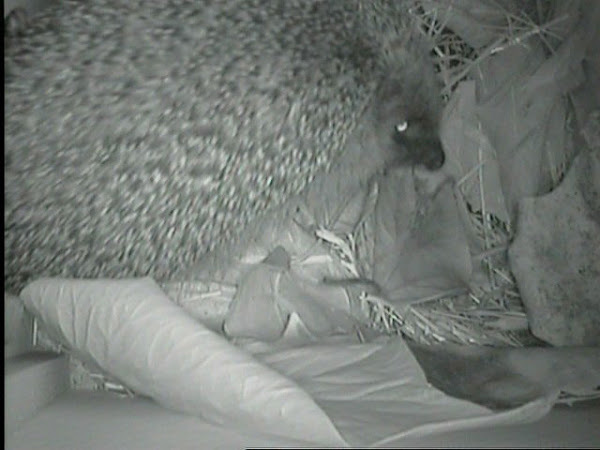 However, it seems to have attracted two hogs now although fortunately not at the same time… I’d love to see what would happen if they both arrived at the same time! Perhaps it’s a bit on the early side for regular visits to a hog house but the minute the temps drop there will be no need for a sign (fingers crossed). Visits of the last few nights to ours haven’t lasted long and have been earlier at around 9-10:30pm. I take still photos after I spot a visit to our house. When I look the next evening and there is no change in the patterns of leaves on the floor this tells me no further visits.